Fence stretchers are used to provide the proper amount of tension on wire fences. A tight fence protects livestock and wildlife from getting tangled in the fence which could cause injury or even death. Wire stretchers tighten wires to prevent sagging. There are several different styles of wire fence stretchers on the market. They all work the same with some type of clamp to attach to the wire and a ratcheting system to tighten it. Tie one end of the wire to a braced post. 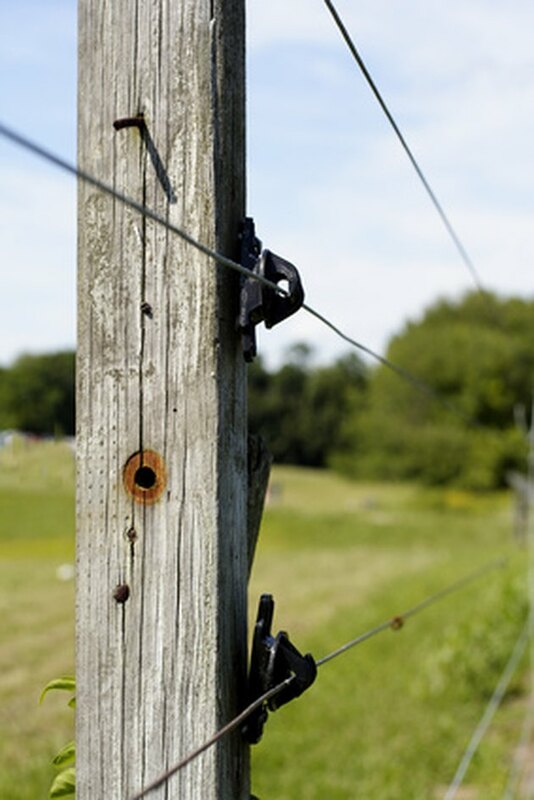 Corner posts, H-braces or gate posts have extra reinforcement. Ideally, your wire should extend from one braced-post to the next set of braces. The first wire you should stretch is the top wire. Attach the wire to the post approximately 44" above the ground level. Unroll wire to the next braced post. Attach the fence stretcher's clamp to the loose end of the wire approximately three feet from the actual end of the wire. Attach the clamp to the ratchet system, if needed. Some manufacturers have the clamps permanently attached to the ratchet system while others use separate clamps and come-alongs. Attach the other end of the ratchet system to your second brace post. You will want to wrap the chain of the come-along around the brace post 10 inches below the final location of the wire to give yourself plenty of room to wrap the stretched wire around the brace post before stapling. Ratchet the wire to remove any slack or sagging of the wire. If necessary, temporarily tie the wire to the brace post and re-clamp to the partially stretched wire if your ratchet system is fully compressed and you need further tension on the wire. Sharyl Stockstill began her writing career more than 30 years ago. She has written for a number of magazines and produced commercial catalogs. Stockstill has also co-authored and published a book entitled "Traveling New Mexico: A Guide to the Historical and State Park Markers." She has attended Clovis Community College and the University of New Mexico.